Fantastic filters need unique stickers. Our app face stickers for Snapchat can meet the needs of different groups of people. 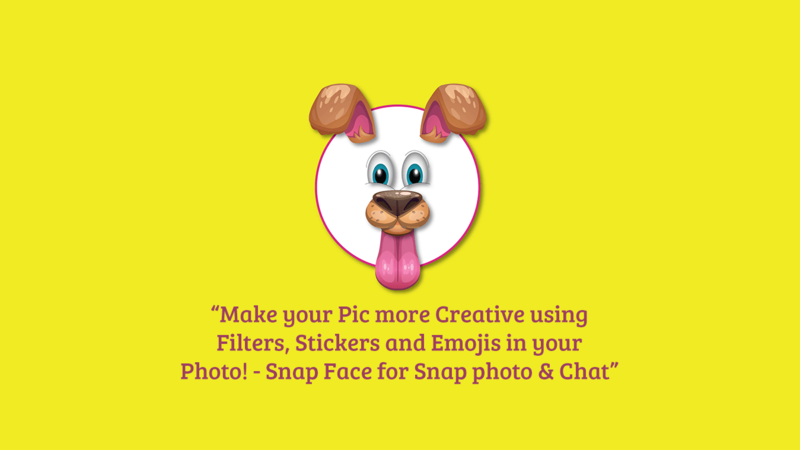 Add Emoji and filters to your photos, we have added emoji’s – stickers and filters to have more fun. Stickers category include: Emoji, Crown, Glasses, Hair, Masks, Monkey, Eye, Mustache, Beard, Tattoo and more. Make now funny Selfie Snapshots and decorate your Face with your favorite animals stickers like Doggy, Cat, Monkey and many funny animals face effect stickers like cute rabbit, eyes, tears and more. Add text and add stickers to your images. Place it on the right position on your face on photo. Easy to use and easy to save as well. • Take photo or choose photo from the gallery. • Zoom in/Zoom out, Rotate left/right with 2 fingers or using mouse in desktop to adjust emojis/stickers/text. • You can share your photos on Instagram, Facebook, Twitter, Email, OneDrive, WhatsApp and more.